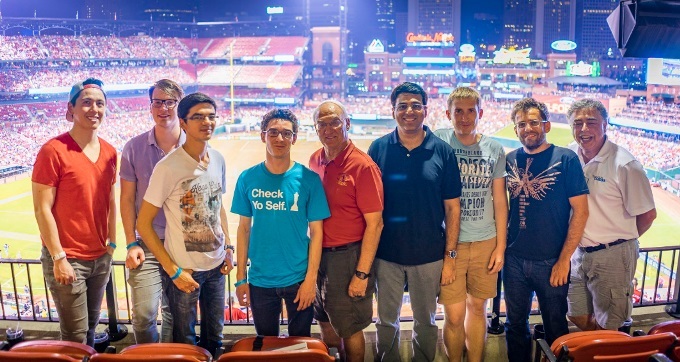 Giri-MVL, Anand-Caruana, So-Nakamura, Ding Liren-Aronian and Topalov-Svidler are the Round 1 pairings as the 2016 Sinquefield Cup gets underway in St. Louis today. Magnus Carlsen is absent in the run-up to his match and Vladimir Kramnik pulled out at the last moment with a medical issue, but the third stage of the 2016 Grand Chess Tour still features no less than seven players from the world’s top 10. We preview the action. 1. How will MVL handle his new status as favourite? It seems a long time ago now that French no. 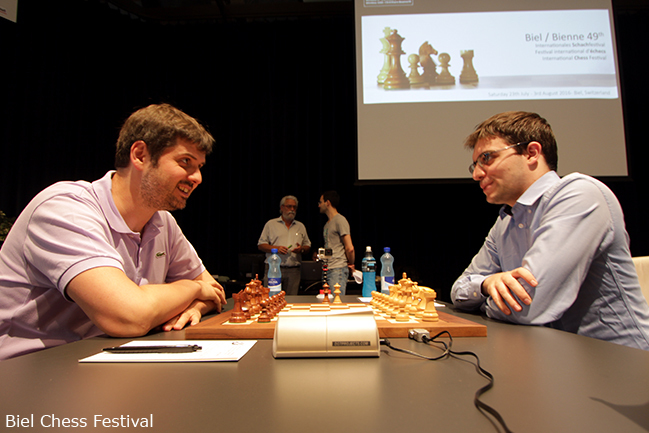 1 Maxime Vachier-Lagrave was a controversial pick in place of Sergey Karjakin for the 2015 Grand Chess Tour. By June 2015 his rating had slumped to 2723 and it was possible to question his place among the absolute elite. Fast forward a year and he’s the clear world no. 2 on 2819, within sight, if not exactly touching distance, of Magnus Carlsen on 2857. Maxime comes to St. Louis on the back of a dominant win in Dortmund and beating Peter Svidler ("like a drum" - Svidler) in rapid, classical and blitz in Biel. He’s benefited, perhaps, from suffering no Candidates Tournament hangover, since he of course missed out on that potentially career-changing event. Last year he finished joint second in the Sinquefield Cup after only losing a single game – to Magnus Carlsen. How will he fare in this year’s event, with the world no. 1 absent? Well, his fellow competitors are doing their best to jinx him! During the opening ceremony four of his rivals picked him to win the title. 2. Will we see a repeat of 2014 or 2015? The Frenchman will face stiff competition. 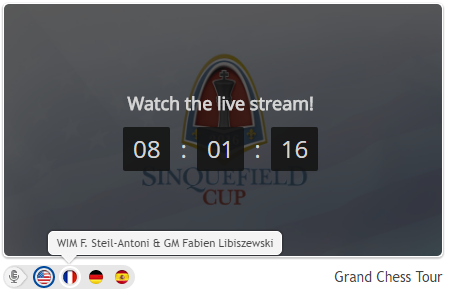 Fabiano Caruana’s name will, of course, forever be linked to the Sinquefield Cup after he won seven games in a row at the start of the 2014 event. This year he’s already put in a supreme performance to win the US Championship in the Missouri city which he now calls home. Last year, though, the event belonged to Levon Aronian. The Armenian may have lost some water races to Magnus Carlsen in the run-up to the event, but scored a smooth three wins and six draws to take the title and end a brief stay outside the world’s Top 10. Levon suffered more World Championship heartbreak after a good start at the Moscow Candidates, but he was back on form in Norway, where he beat Carlsen in their individual game on the way to second place. He’ll be a player to watch again in St. Louis. 3. Who’s the US no. 1? It’s St. Louis, so we can’t avoid this question! Currently Caruana is 16 points ahead of Hikaru Nakamura, who leads Wesley So by 20 points, but since they all play in the Sinquefield Cup those gaps could soon be wiped out by decisive head-to-head results. Will we see some jockeying for board places before the Olympiad in Baku next month? In any case, So will be looking to improve on his four losses and single win in 2015, while Nakamura has the chance to take a big step towards overall Grand Chess Tour victory if he can add success in St. Louis to his first place at the Paris Grand Chess Tour. Remember, the players pick three of their four events for the overall standings, while Magnus Carlsen (the Belgium winner) is not expected to play again on the tour. 4. Can Peter Svidler make an impact as a super-sub? Peter Svidler is the go-to man when your super-tournament is missing a super-grandmaster. He almost played in Altibox Norway Chess when Sergey Karjakin pulled out, and now he’s stepped in to replace another Russian, Vladimir Kramnik, who wants to take a month out before the Olympiad to recover from long-term back problems. It’s not going to be easy for Peter, who only had a day or two to return to St. Petersburg from Biel to “re-bag” (as he put it) before setting off on his American adventure, but late replacements have a history of pulling off sporting surprises. In any case, Svidler’s debut in St. Louis is a treat for chess fans – finally we’ll get to see him in the confessional box during games! His friend Alexander Grischuk once claimed that Svidler spends some of his time at the board composing his post-game comments – now he doesn’t need to wait that long. 5. Can the old guard of Anand and Topalov show their class? Veselin Topalov (41) and Vishy Anand (46) mean Svidler isn’t the oldest man in the field, and both former World Champions have been taking things easy after the Candidates Tournament earlier this year. Apart from the Paris and Leuven rapid Grand Chess Tour events Vishy has only played a 3-day event in Leon, while Topalov redeemed himself with a win and 8 draws in Norway Chess after his disastrous 5 losses and no wins in the Candidates. Vishy was in impressive, if unstable, form in Moscow, and both are now players who could easily finish first or last in St. Louis. 6. Can an underdog win? 25.Ng5+!! Qxg5 26.Rxe7+! Kxe7 27.Qxb7+ Kd6 28.Ba3+! Rc5 29.Qc6+! And that was "all she wrote", as Yasser will say if anything similar occurs in St. Louis. 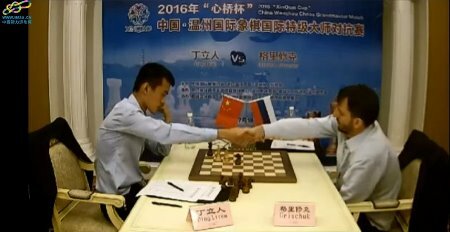 Going into the tournament no great things are expected of wild card Ding Liren... which may work in his favour! The same goes for Anish Giri, who finished Bilbao with three losses and no wins, but we all know that was no indication of the 22-year-old Dutch star’s potential. Last year he didn’t lose a game throughout the Grand Chess Tour and finished in a tie for second place in St. Louis. If he can forget his last tournament anything is possible. 7. Where should I watch? English: The famous trio of Yasser Seirawan, Jennifer Shahade and Maurice Ashley, while “chessbrahs” Eric Hansen and Robin Van Kampen may also be in the house!